The Last Dollar Road into Telluride is laden with gorgeous autumn scenes, from grand vistas to intimate details. Here I got off the road, and moved through the woods to find an interesting subject. 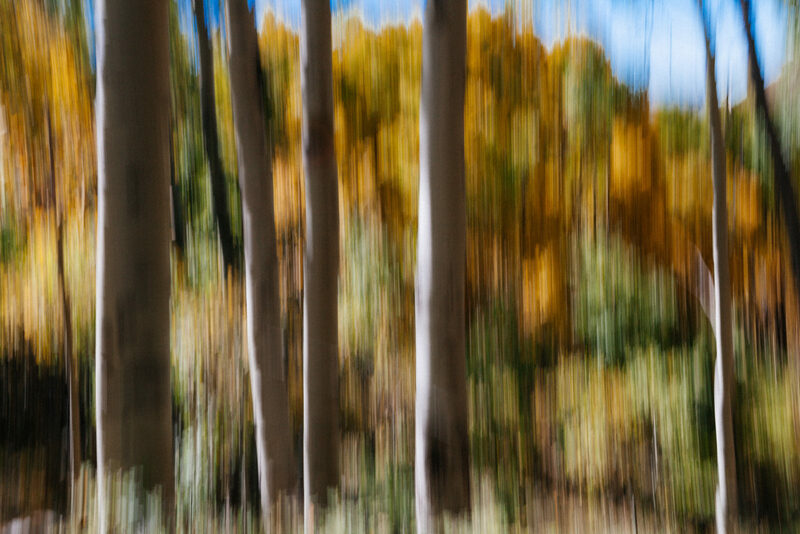 Motion blur allowed me to record the palette of autumn colors as if they were painters strokes.